You can find here the answers of Word Addict, the new amazing and attractive Android IOS ( for iPhone and iPad ) word game developed by Platinium Player LLC, a good puzzle for all Word gamers, it helps our brain and train our neurons. We have fixed all anagrams and achieved this step. Level 1 to 1000 are fully completed so you can count on this topic to do so. I will provide some hints in addition of the answers at the bottom of this page so keep reading. – Daily bonus coins and word connects free! – Daily Challenge gives you more free word connect games, more free bonus coins and more FUN EVERY DAY! – Whether you want word games for adults or word games for kids, Word Addict is the best free word game! 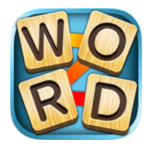 – For word games free single player mode, download Word Addict!